We believe The Church of Jesus Christ of Latter-day Saints is a restoration of the original Church established by Jesus Christ. I wish to testify today of the fulness of the restored gospel of Jesus Christ, which adds to the religious beliefs of other denominations, both Christian and non-Christian. This fulness was originally established by the Savior in His earthly ministry. But then there was a falling away. The period that followed came to be known as the Dark Ages. This falling away was foreseen by the Apostle Peter, who declared that “heaven must receive [Jesus Christ] until the times of restitution of all things, which God hath spoken by the mouth of all his holy prophets since the world began.”10 Restitution would only be necessary if these precious things had been lost. In the centuries that followed, religious men came to recognize that there had been a gradual falling away from the Church organized by Jesus Christ. Some of them suffered greatly for their beliefs, in what came to be called the Reformation, a sixteenth-century movement that aimed at reforming Western Christianity. This resulted in the separation of the Protestant churches from the main Christian church. These are but two of the religious scholars who recognized an apostasy from the Church organized by Jesus Christ and the need for a restoration of the priesthood keys that had been lost. The Apostle John saw in vision the time when “another angel [would] fly in the midst of heaven, having the everlasting gospel to preach unto them that dwell on the earth, and to every nation, and kindred, and tongue, and people.”13 This prophecy has been fulfilled. 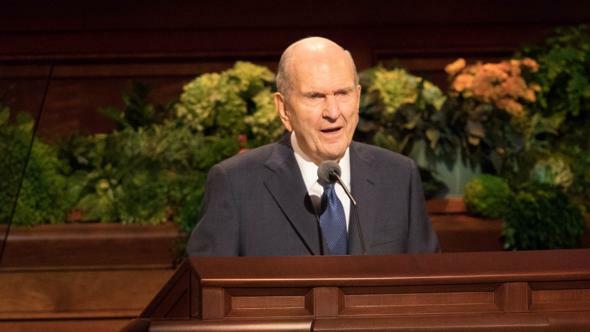 Because we believe the fulness of the gospel of Jesus Christ has been restored in our time by the Prophet Joseph Smith, we wish to give all people an opportunity to know and accept this message. I am grateful the Lord has seen fit to establish again the law of tithes and offerings for this people. When we keep the law of tithing, the windows of heaven open for us. Great are the blessings poured down upon those who have the faith to keep the law of tithing. Through the earth’s long history, temple worship has been a significant part of the Saints’ worship, by which they show their desire to come closer to their Creator. 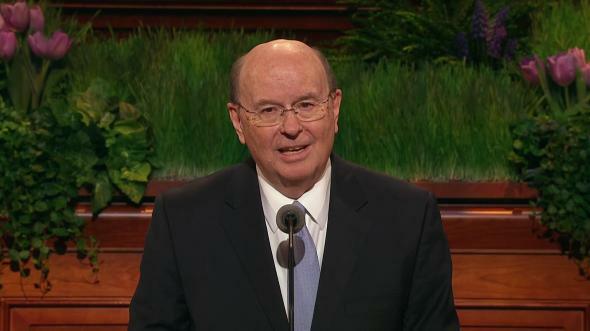 The temple was a place of learning for the Savior when He was on the earth; it was very much a part of His life. 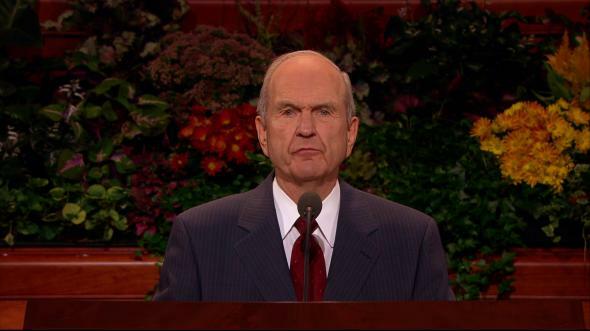 Temple blessings are available once again in our day. 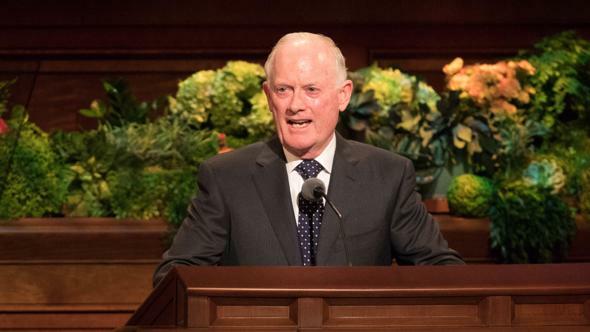 A unique feature of The Church of Jesus Christ of Latter-day Saints is its teaching concerning temples and the eternal significance of all that occurs within them. Our majestic and beautiful temples now dot much of the earth. In them the most sacred work is done. 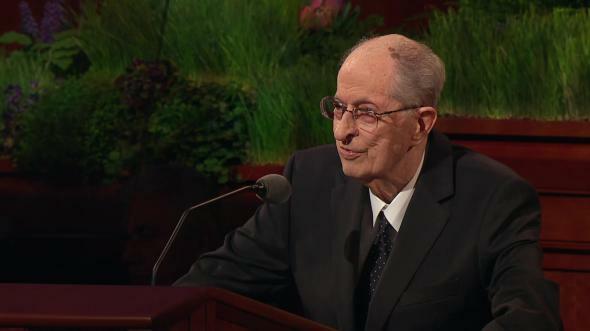 President Gordon B. Hinckley has stated of these temples, “There are only a few places on earth where man’s questions about life receive the answers of eternity.”19 The solemn mysteries of where we came from, why we are here, and where we are going are answered more fully in the temples. We came from God’s presence and are here on earth to prepare to return to His presence. The Lord has said that His work is “to bring to pass the immortality and eternal life of man.”21 It follows then that all mankind, living and dead, should have the opportunity of hearing the gospel either in this life or in the spirit world. As Paul said to the Corinthians, “Else what shall they do which are baptized for the dead, if the dead rise not at all? why are they then baptized for the dead?”22 This is the reason we do ordinance work in temples for our deceased ancestors. No person’s choice or agency is taken away. Those for whom the work is done may accept it or not, as they choose. The Apostle John saw in vision the time when an angel would come to the earth as part of the Restoration of the gospel. That angel was Moroni, who appeared to the Prophet Joseph Smith. He directed Joseph to the place where golden plates containing ancient writings were deposited. Joseph Smith then translated these plates by the gift and power of God, and the Book of Mormon was published. This is a record of two groups of people who lived centuries ago on the American continent. Little was known about them before the coming forth of the Book of Mormon. But more importantly, the Book of Mormon is another testament of Christ. It restored precious truths concerning the Fall, the Atonement, the Resurrection, and life after death. 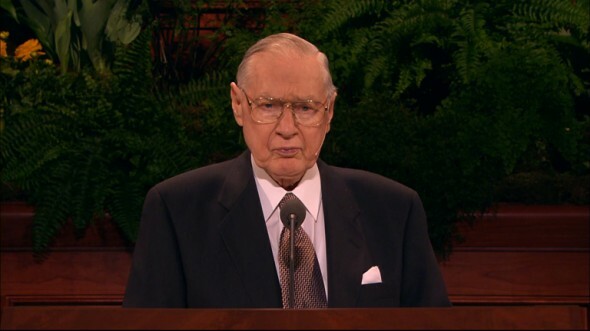 We believe The Church of Jesus Christ of Latter-day Saints is a restoration of the original Church established by Jesus Christ, which was built “upon the foundation of the apostles and prophets, Jesus Christ himself being the chief corner stone.”24 It is not a breakoff from any other church. We believe that the fulness of the gospel of Christ has been restored, but this is no reason for anyone to feel superior in any way toward others of God’s children. Rather, it requires a greater obligation to invoke the essence of the gospel of Christ in our lives—to love, serve, and bless others. 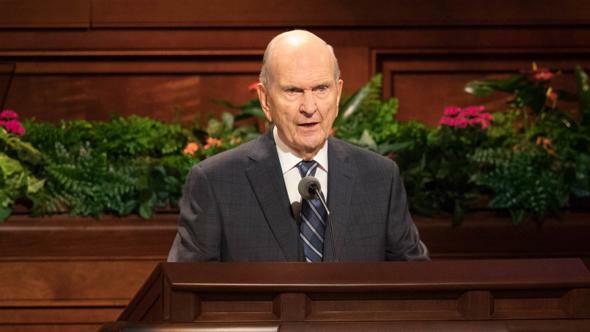 Indeed, as the First Presidency stated in 1978, we believe that “the great religious leaders of the world such as Mohammed, Confucius, and the Reformers, as well as philosophers including Socrates, Plato, and others, received a portion of God’s light. Moral truths were given to them by God to enlighten whole nations and to bring a higher level of understanding to individuals.”25 Thus, we have respect for the sincere religious beliefs of others and appreciate others extending the same courtesy and respect for the tenets we hold dear. I have a personal witness of the truth of the covenants, teachings, and authority restored through the Prophet Joseph Smith. This assurance has been with me all of my life. 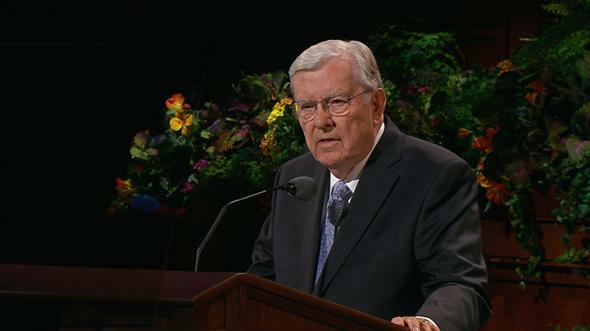 I am grateful that the Restoration of the fulness of the gospel has taken place in our time. It contains the pathway to eternal life. May the strength, peace, and concern of God the Father and the abiding love and grace of the Lord Jesus Christ be with us all, I pray in the name of Jesus Christ, amen. 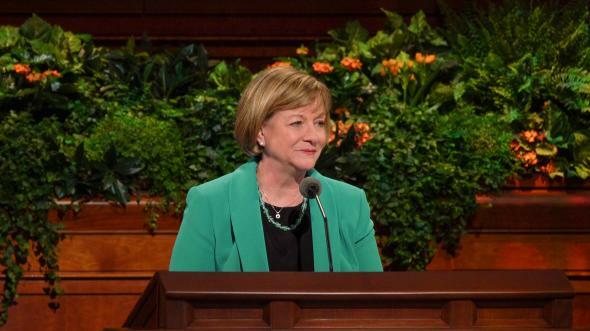 “Statement of the First Presidency regarding God’s Love for All Mankind,” Feb. 15, 1978. In Conference Report, Apr. 1995, 112; or Ensign, May 1995, 84. 2 Thes. 2:3; emphasis added. See Acts 8:14–17; Acts 19:3–6. See Matt. 3:17; Acts 7:55; D&C 130:22. See Dan. 2:28; Amos 3:7; D&C 121:26. See Obad. 1:21; Mal. 4:6; 1 Cor. 15:29; Rev. 7:15. See Mark E. Petersen, The Great Prologue (1975), 34–35. See William Cullen Bryant, ed., Picturesque America; or, the Land We Live In, 2 vols. (1872–74), 1:502; see also LeGrand Richards, A Marvelous Work and a Wonder, rev. ed. (1966), 29. James E. Talmage, The Articles of Faith, 12th ed. (1924), 204. 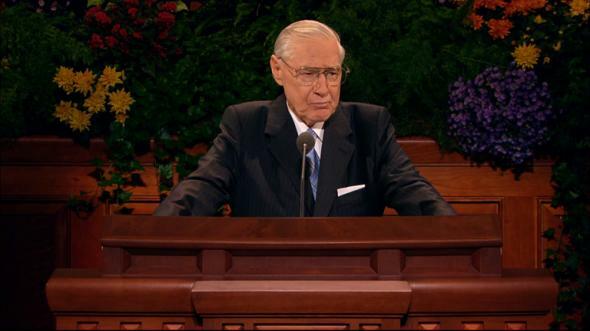 “Why These Temples?” Temples of The Church of Jesus Christ of Latter-day Saints (1999), 14. See Moses 5:58; Moses 8:19; Abr. 2:10–11. First Presidency statement, Feb. 15, 1978.